Agateram stage play’s official website has released cast information, key visuals, and two short promo videos forFate/Grand Order The Stage: Shinsei Entaku Ryōiki Camelot Replica. 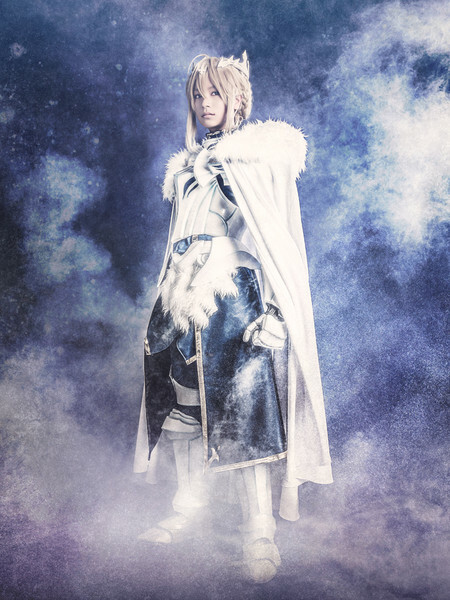 Yū Takahashi plays the role of Artoria Pendragon, which happens to be one of the three main characters of the stage play. Yū is known for her role as Yuri Aso/ Kamen Rider Ixa in Kamen Rider Kiva, the mother of Megumi Aso and the daughter of Akane Aso, the designer of the Ixa system. Kento Ono plays the role of Lancelot. Kento has also played the role of Hyde/Gosei Blue in Tensou Sentai Goseiger. Shunsuke Nishikawa plays the role of Arash in the stage play. Shunsuke played the role of Takaharu Igasaki/AkaNinger in Shuriken Sentai Ninninger, one of the successors of Yoshitaka Igasaki. The play will be held at the Zepp Blue Theater in Roppongi, Tokyo from July 14 to July 17.